It was a sharp but brilliant transition from the ideological arguments that define a political convention to a more conversational dialogue about everyday life. In this case, everyday life with a potential President of the United States. It was a perfect introduction of Ann Romney to the nation that left viewers with a pleasant, positive and even endearing impression of her. And it not only left viewers with a positive sense of herself, it also helped open a door to the creation of a fresh new impression of Mitt Romney. Up to now, with hundreds of millions of dollars in negative ads by the Obama campaign, Mitt Romney has been defined largely as a cold blooded, robber baron who grew up with a silver spoon in his mouth. But Ann Romney’s convincing description of her life with Mitt, helped to turn the impression that team Obama has created of Mitt Romney into a false impression. With great success, Ann Romney softened Mitt Romney’s image and pushed away the dark picture drawn by Democrats that depict him as a plutocrat with an easy, carefree, life. 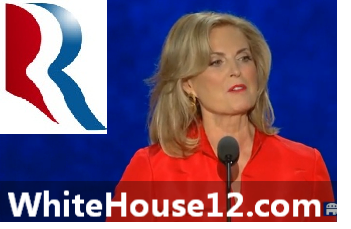 Ann Romney’s speech had many potent lines. But it was her delivery that made them convincing and ultimately the most succesful speech of the evening. With grace and confidence one could not help but sense a genuine sense of honesty in her words….. words that lacked the type of partisanship which often spoil the otherwise honest assessments of a speaker’s topic of discussion. With Ann Romney, gone were the harsh phrases and direct accusations of political treachery. Instead she replaced them with an everyday approach to the issue that made one have to actually think about whether being successful is really a bad thing to be. 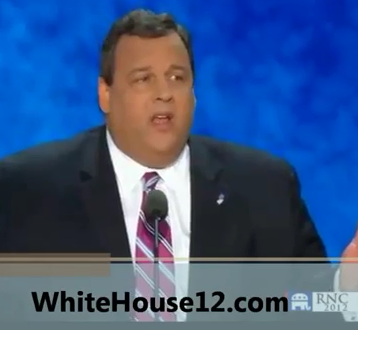 In her approximately 20 minute speech, the future First Lady touched upon every point the campaign needed to addres, but two things made it the best and most successful speech of the first night of the convention……… context and presentation. It was the lack of overtly political and blatantly ideological context that she used when addressing those points that made each one she touched believable and convincing to the larger group of voters outside the walls of the convention. And that it was a truly well written, well delivered, well strategized political speech is suppose to do. And while there are many important issues we’ll hear discussed in this convention and throughout this campaign, tonight I want to talk to you from my heart about our hearts. I want to talk to you about that love so deep only a mother can fathom it — the love we have for our children and our children’s children. They are here among us tonight in this hall; they are here in neighborhoods across Tampa and all across America. The parents who lie awake at night side by side, wondering how they’ll be able to pay the mortgage or make the rent; the single dad who’s working extra hours tonight, so that his kids can buy some new clothes to go back to school, can take a school trip or play a sport, so his kids can feel… like the other kids. And the working moms who love their jobs but would like to work just a little less to spend more time with the kids, but that’s just out of the question with this economy. Or that couple who would like to have another child, but wonder how will they afford it. Sometimes I think that late at night, if we were all silent for just a few moments and listened carefully, we could hear a great collective sigh from the moms and dads across America who made it through another day, and know that they’ll make it through another one tomorrow. But in that end of the day moment, they just aren’t sure how. You’re the ones who always have to do a little more. You know what it’s like to work a little harder during the day to earn the respect you deserve at work and then come home to help with that book report which just has to be done. You know what those late night phone calls with an elderly parent are like and the long weekend drives just to see how they’re doing. I’m not sure if men really understand this, but I don’t think there’s a woman in America who really expects her life to be easy. In our own ways, we all know better! And that’s fine. We don’t want easy. But these last few years have been harder than they needed to be. It’s all the little things — that price at the pump you just can’t believe, the grocery bills that just get bigger; all those things that used to be free, like school sports, are now one more bill to pay. It’s all the little things that pile up to become big things. And the big things — the good jobs, the chance at college, that home you want to buy, just get harder. Everything has become harder. We’re too smart to know there aren’t easy answers. But we’re not dumb enough to accept that there aren’t better answers. And that is where this boy I met at a high school dance comes in. His name is Mitt Romney and you really should get to know him. I could tell you why I fell in love with him — he was tall, laughed a lot, was nervous — girls like that, it shows the guy’s a little intimidated — and he was nice to my parents but he was really glad when my parents weren’t around. That’s a good thing. And he made me laugh. Inside the houses that lined the streets of our town, there were a lot of good fathers teaching their sons and daughters those same values. I didn’t know it at the time, but one of those dads was my future father-in-law, George Romney. Mitt’s dad never graduated from college. Instead, he became a carpenter. We were very young. Both still in college. There were many reasons to delay marriage, and you know? We just didn’t care. We got married and moved into a basement apartment. We walked to class together, shared the housekeeping, and ate a lot of pasta and tuna fish. Our desk was a door propped up on sawhorses. Our dining room table was a fold down ironing board in the kitchen. Those were very special days. Then our first son came along. All at once I’m 22 years old, with a baby and a husband who’s going to business school and law school at the same time, and I can tell you, probably like every other girl who finds herself in a new life far from family and friends, with a new baby and a new husband, that it dawned on me that I had absolutely no idea what I was getting into. That was 42 years ago. Now we have five sons and 18 grandchildren and I’m still in love with that boy I met at a high school dance. He has tried to live his life with a set of values centered on family, faith, and love of one’s fellow man. From the time we were first married, I’ve seen him spend countless hours helping others. I’ve seen him drop everything to help a friend in trouble, and been there when late-night calls of panic came from a member of our church whose child had been taken to the hospital. You may not agree with Mitt’s positions on issues or his politics. Massachusetts is only 13% Republican, so it’s not like that’s a shock. It’s true that Mitt has been successful at each new challenge he has taken on. It amazes me to see his history of success actually being attacked. Are those really the values that made our country great? As a mom of five boys, do we want to raise our children to be afraid of success? And let’s be honest. If the last four years had been more successful, do we really think there would be this attack on Mitt Romney’s success? He stayed in Massachusetts after graduate school and got a job. I saw the long hours that started with that first job. I was there when he and a small group of friends talked about starting a new company. I was there when they struggled and wondered if the whole idea just wasn’t going to work. Mitt’s reaction was to work harder and press on. It allowed us to give our sons the chance at good educations and made all those long hours of book reports and homework worth every minute. It’s given us the deep satisfaction of being able to help others in ways that we could never have imagined. Mitt doesn’t like to talk about how he has helped others because he sees it as a privilege, not a political talking point. And we’re no different than the millions of Americans who quietly help their neighbors, their churches and their communities. They don’t do it so that others will think more of them. Under Mitt, Massachusetts’s schools were the best in the nation. The best. He started the John and Abigail Adams scholarships, which give the top 25% of high school graduates a four-year tuition-free scholarship. Late Monday afternoon, former New Hampshire Governor and George H. W. Bush Chief of Staff John Sununu officially nominated Mitt for the Republican nomination for President at the republican national Convention. Due to the condensed schedule of the convention because of Hurricane Isaac, the nomination speech did not receive the type of attention that such speeches typically do but Sununu’s remarks should not be overlooked. In nominating Romney, he offered Americans a superb summation of the reasons why Romney is worthy of being our President and why he should be our next President. Below you will find a video of his speech and its full text. In these critical times America needs a leader. Our vitality has been sapped. We are saddled with a failed presidency, with an incumbent president who has not led. America needs real change, and we are here to affirm a leader who will produce that change. There are many reasons America needs Mitt Romney at the helm. We have 23 million Americans unemployed or underemployed because Barack Obama cannot figure out what makes free enterprise work. Mitt Romney will get our private sector moving again, and will respect the successes of our entrepreneurs who deserve credit because they really did build it. In these difficult times our nation still depends on others for our energy resources – even though we share the largest overall supplies of energy in the world – because we have an administration that shuns those assets and keeps us dependent on fragile foreign supplies. Mitt Romney will unshackle our assets, and lead us to real energy independence. We also are a nation that has seen erosion of our respect around the world because we have a president who prefers to lead from behind. Mitt Romney will restore our strength, support our friends, face up to our foes and regain honest respect for an America willing to lead. My wife Nancy and I have gotten to know Mitt and Ann Romney well. We have developed a deep and sincere appreciation for these two friends and their family – we like them and we respect them. Tonight we all gather here to put in motion the final phase of our campaign to help America know them better, and to appreciate why our nation needs them as our president and first lady. Mitt Romney is a good man, and a smart man. He is compassionate and generous. He is a great father and a supportive friend. He has been a very successful businessman and a very effective governor. He knows how to fix the unfixable, and to help people perform to their highest potential. 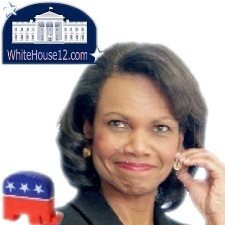 Mitt Romney is the right man at the right time and will be a great leader for our country. 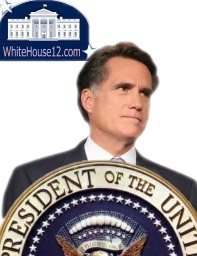 It is my honor to nominate Mitt Romney for the Office of President of the United States of America.